My paternal grandma passed away in November. She was 91 and lived a full life. I realize only after she's gone that she was one of those people who quietly made a difference in the world. We also came pretty close to losing my maternal grandma after a terrible fall, but somehow she pulled through. It always takes these kinds of events to help you realize what's really important in life. One million people around Puget Sound were without power at one time or another. Wind speeds gusted to 113 mph near Mt. Rainier, and 69 mph at Sea-Tac airport. There were 8 storm-related deaths, and 7 people died of carbon monoxide poisoning. 100 people developed carbon monoxide symptoms. A windstorm knocked out power for 120,000 people. Heavy rains brought the rivers to record levels and literally stranded people in Carnation and Fall City (about 30 minutes outside Seattle). In late November, a snowstorm covered many of the roads with ice for a few days (pretty rare in Seattle). This storm caused 60,000 PUD customers to lose power. Restoring power cost $6.2 million. In February, the band in which I play drums, Chris Mess, started playing concerts around Seattle. We also got some airplay on KEXP. Here's a list of the shows we played, as well as my blogs about some of the shows. Saturday, 9/16/2006 - The Blue Moon, with Supernauty (female-fronted Black Sabbath tribute) and A Gun That Shoots Knives. Ready my blog entry about this gig. Saturday, 7/22/2006 - The Rainbow, with the amazing Yam. Tuesday, 6/13/2006 - The Central Saloon. Ready my blog entry about this gig. Saturday, 4/29/2006 - The Monkey Pub (U-District), with the Black Fairies. Wednesday, 4/19/2006 - The Mercury (Capitol Hill), with the Space Cretins. Thursday, 2/23/2006 - The Blue Moon Tavern - Read my blog entry about this gig. Vancouver Island, British Columbia - We went on vacation with our friends, the Sneifers. Bend, Oregon - Another fun-filled Olson family reunion. 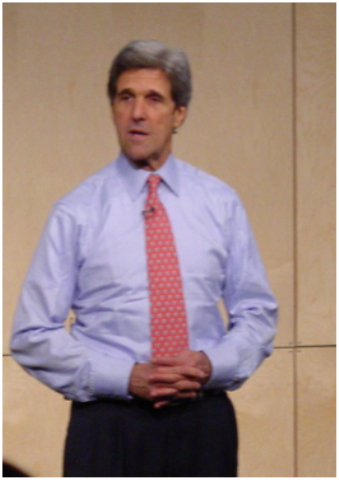 John Kerry (and Theresa Heinz-Kerry) -- He came across much different in person. He was more casual, more down-to-earth. But he was still complaining about losing to Bush in the last election. I agree with him that he should have won, but I think the real leaders get over that stuff and get on with things (look at Al Gore). Madelaine Albright -- A very thoughtful, intelligent person. She had a lot to say about Iraq and the current administration. Tim Russert -- Great speaker, great new book, "Wisdom of Our Fathers: Lessons and Letters from Daughters and Sons." I gave it to my father for Father's Day. Karl Rove -- He came across much worse in person. I've never seen a more arrogant, condescending man in my life. Oh, and he talked about how great we were doing in Iraq. I guess he was lying, since the President has since come out and talked about our mistakes. Ian Bremmer, author of The J Curve: A New Way to Understand Why Nations Rise and Fall -- An important book that everyone should read. Freeman Dyson, George Dyson -- George introduced his father, who is one of the pre-eminent Physicists of the 20th Century. 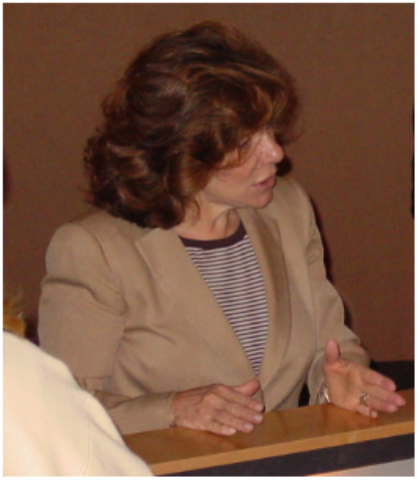 Freeman went on to speak about Biotechnnology. The content of this lecture was amazing -- all about how biology is the new physics -- how people will be playing around with Blogs I should have posted. Matt Chamberlain -- I took a private lesson with Matt at Donn Bennett drum studios. This prompted me to start regular lessons at The Seattle Drum School to work on the Moeller technique, among other things. No matter which side of the aisle you prefer, the Dems taking back the House and Senate was BIG news. A majority of Americans had finally grown tired of the way the White House and the Republican House and Senate were handling the war and other things. For the first time in many years, I finally felt in synch with the country around me. A lot has already been written about Web 2.0. The term was coined in 2004 by O'Reilly Media. Here's one definition I found on Wikipedia: "... a perceived or proposed second generation of Internet-based services -- such as social networking sites, wikis, communication tools, and folksonomies -- that emphasize online collaboration and sharing among users." So, Web 2.0 is really the convergence of all these things, including blogs, video-sharing sites like YouTube, picture-sharing sites like Flickr. Because this convergence was felt in so many ways in 2006, Time Magazine gave its Person of the Year to "You." But if you read through this, they were really talking about all the people utilizing the power of the web. Star Wars fan film "Revelations"